Horizontal Range: 17.5". Monitor Weight: 1.5 - 28 lbs. Comparable to the 3500 monitor mount, Innovative 3545 short-reach radial monitor arm offers a compact, space-saving design. The mount features a fixed 45-degree forearm that provides additional vertical reach. 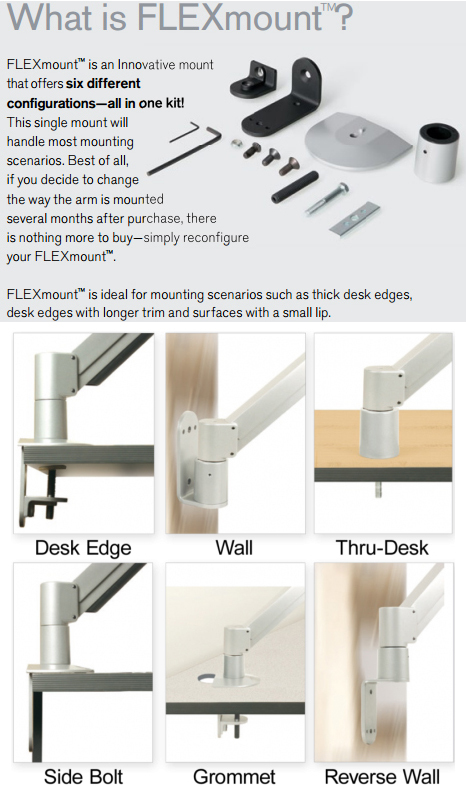 Users are able to quickly fold the monitor mount back and out of the way when not in use. Float your 20"+ flat panel monitor above the desk with this short-reach radial monitor arm. Ideal for use in compact spaces while maintaining ergonomic comfort. 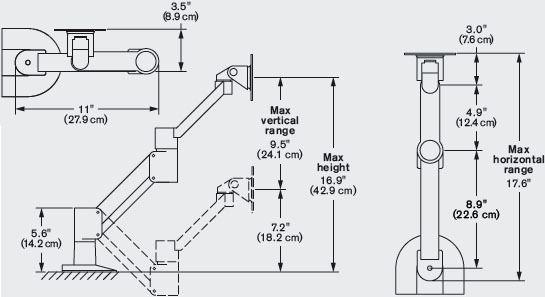 Optional 6″ extender tube available to raise the monitor (see Extender Tubes under Accessories).